Collins Booksellers - An Arena for Educational Ideologies by Miriam Ben-Peretz & Sharon Feiman-Nemser, 9781475820263. Buy this book online. Educational processes are shaped by societal ideas and values. 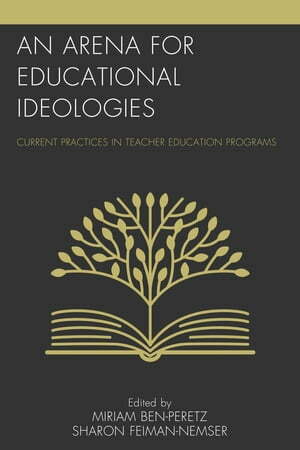 Different ideologies shape the discourses, content, processes and pedagogies of teacher education processes. The book includes cases or illustrations of teacher education in the Montessori, Waldorf, Reggio Emilia and Pistoia traditions, as well as the democratic tradition embraced by the Kibbutz Movement in Israel. Understanding the ideologies that constitute the basis of teacher education programs might predict some of the outcomes of diverse programs on one hand, and serve the adaptation of teacher education to societal needs and requirements, on the other hand. Purposes of schooling, the value of knowledge and the relationship between teacher education and the goals of a democratic society have to be clarified in order to improve education in the service of society and its future. The work of schools depends on the interaction between content, teacher and student. Therefore, the preparation of teachers becomes a central aspect of education.